Dr. Christa Hinchcliffe, ND graduated from the prestigious Bastyr University in Kirkland, WA in 2001, earning her doctorate of naturopathic medicine. 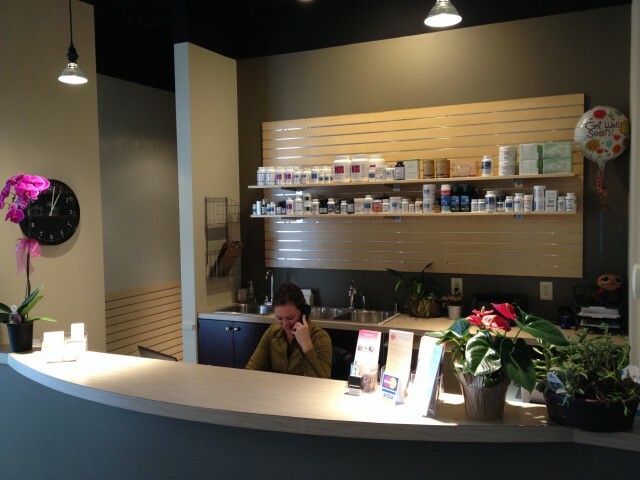 Prior to opening Bainbridge Naturopathic Clinic, she worked at the Tahoma Clinic in Renton, WA with the well-known Dr. Jonathan Wright, MD. Click here to learn more about Dr. Hinchcliffe. Erin is our office manager. She answers phones, schedules, contacts insurance, and much more. Lori is our nurse on staff. She helps with prescriptions, supplement orders, injections and blood draws. If you have any questions, please ask either of them, as they are happy to help.